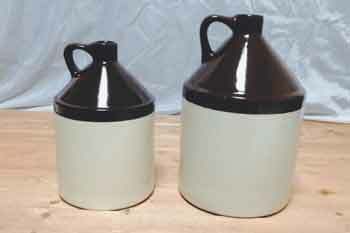 1 Pint Crock 4 1/4" 3 1/2"
1 Quart Crock 4 3/4" 5"
2 Quart Crock 6" 6 1/8"
These Stoneware Utensil holders have the classic crock shape but feature sizes that make them functional for the kitchen countertop. Can be used for many practical everyday uses like containers for potpourri, candy, magazines, kitchen utensils, cookbooks, pens and pencils, or candles. 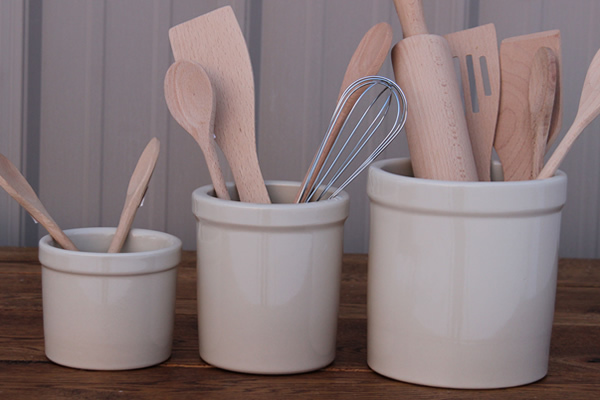 These crocks are made with lead free glazes making them food safe, microwave oven, conventional oven, and dishwasher safe.